Let me first define noise, anything which is unpleasant to your ear or you can say something that makes you withdraw or runaway at that point of time. Any noise which is above 120 decibels becomes physically painful to ears. However, normal human being shout is around 70 decibels but there are many animals, insects and different species that can make much louder sounds. We all have learned about voices of different animals in school days but there are many species whose sound can make us partially deaf. We humans are not the noisiest creature on this planet. The highest recorded sound on this planet is 230 decibels. These sounds will be very painful for humans but for animals it is being used for different purpose like defending themselves from predators, warning their companions and also for mating. Let me tell you more about 10 loudest animals in the world. Whales (Blue Whale) are known as the largest animal living on planet Earth, can produce sound up to 188 decibels. It is louder than jet engine or grenade explosion. These sounds can travel up to 500 miles underwater. However, loudest is the sperm whale. They can make a series of sounds underwater that can reach as high as 230 dB which makes him the loudest animal in the world. It lasts for 15 to 30 milliseconds and it is audible up to 10 miles away in water. This sound will not be tolerated by the human ear. Killer whales are also one of the apex predators in the world. It is native to the Mediterranean and mostly seen on tropical reefs around the world. Shrimp can produce sound up to 200 dB louder than a gunshot. We are thankful for nature that they live under the sea because humans can only bear the sound of 120-130 dB and beyond this can lead to extreme pain or deafness. It is one of the most interesting animal and unique as well because they have a claw that shoots water at high speed. The speed is enough to create an air bubble. When air bubble implodes it creates a shock wave that can kill all fish in the range of 2 meters. It also produces sound 200 decibels which is equivalent to a gunshot. It is one of the loudest animals in the world. One of the member of bat family also known as fisherman bats. It is a rare bat species who use fish as their primary food. They are native to south and central America water parts. Bats are one of the few mammals on Earth that can use sound to navigate. It is also known as echolocation. It is the loudest member of the bat family. They use the sound of 140 dB to track the movement of fish in water pools. Humans will not be able to hear the echolocation since they are usually ultrasonic and will differ in frequency from 20 to 200 kilohertz (kHz). Human hearing range varies between 20 Hz to 20 kHz. It is the loudest insect on planet Earth. Two species of a namely green grocer and yellow Monday grocer produces a sound up to 120 db. This sound can be heard 2.4 kilometres away. Cicadas differ to all other insects because of musical drums in their abdomen known as tymbals. It also helps in protecting themselves from predators. When sounds are produced in groups reduced their chances of being eaten by birds. The sound is being produced by contracting internal muscles and helps them to produce a pulse sound. The hollow abdomen then amplifies the sound. Along with mating songs insects also produce distress songs, it is usually in form of broken and erratic noise when an individual is captured from there family. They also have a courtship song when a female has been attracted nearby by calling song. It belongs to the parrot family. There are many species of beautiful parrots exist on Earth. It is also known as Owl parrot. It is the loudest and heaviest bird species in parrot’s family. Their mating calls can reach up to 132 dB that can cover approximately 4 miles. It is also one of the birds with highest life expectancy among parrot family. The sound is being produced by a thoracic air sac. It is then interspersed with a high pitched metallic call. This will help female find her mate. It is also flightless and nocturnal. Kakapo can live up to 90 years. It is one of the loudest animals in the world. Howler Monkeys are known for their social behaviour and usually seen in groups. They can produce sound up to 90 dB which will help them to call their troops 5Km away. This can be taken as a warning for other species to stay out of their territory. The howler can make such loud sound because of enlarged hyoid bone in their throat. Howling sounds take a lot of energy and this is the primary reason they sleep for 15 hours a day to recharge. Along with this, howler also creates many sounds to interact with each other. They are also known as one of the nest building monkeys. One of the largest land mammals on Earth can produce sound up to 117 decibels that can travel up to 16 Km. It is one of the loudest animals in the world that lives on land. The most famous sound produced by Elephant is known as trumpeting sound. They usually make this sound when they are excited, distressed or angry. They can also produce one of the loudest infrasonic sounds. They are also one of the intelligent animals in the world. Also, African elephants are known to be one of the heaviest animals in the world. The sound is being produced by pushing air through the trunk. One of the world’s amazing animals, Gray Wolf are native to some parts of Eurasia and North America. It is also known as timber wolf or western wolf. It is one of the most famous animals known for its howls. Their howl can vary from 90 decibels to 115 decibels. They usually howl to communicate with each other. It is helpful to them to unite and establish territory or to send a message far away. Wolves travel long distances to find food and they howl to keep track of the location of their packmates. It is one of the well known US animals. It is also known as Hyenas or Hyaenas. They have been also known to even kill lions. They will always be seen in groups and they just never quit. The usually hunt in groups and it needs a lot of communication. 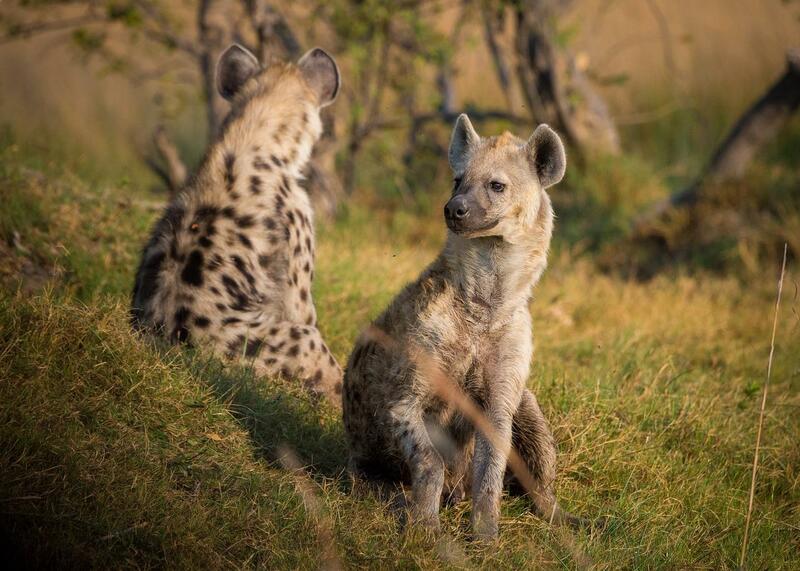 Hyenas produce sounds up to 112 decibels making them one of the loudest animals in the world. They belong to the family of carnivoran mammals known as Hyaenidae. They are one of the biggest enemies of animals and often they fight over same prey. They have a large vocabulary of various sounds to communicate with each other. Also, sounds are being used to threaten their prey while hunting. Lions are native to Sub-Saharan Africa. They are second largest species of the cat family. They can produce sound up to 110 to 114 decibels that can be clearly heard up to 6 to 8 kilometres. Lion only roars to capture its territory or to prevent danger from straying members of the group. Lions have huge territory up to 160 square miles and roaring helps them to maintain their territory without cover the whole distance. It is also listed as one of the fastest land animals in the world. Animals are one of the most beautiful creatures of our mother nature. There are many other qualities which you can find out when you read about other creatures more. We have given you the list of loudest animals in the world.